NOTES: Capitals forward Brett Connolly played after sitting out a 6-3 win Saturday against Tampa Bay due to illness. 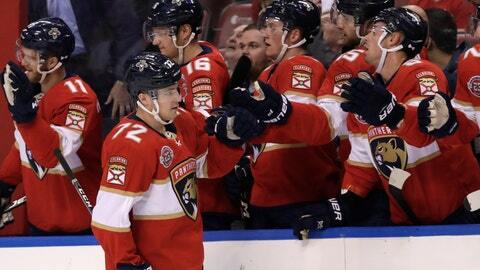 … Trocheck’s goal in the second was the Panthers’ second short-handed goal in two games and third this season. … The Panthers went 3-0-0 against the Capitals and swept the season series for the first time.